Introducing . . . . The Vac Loader! As either part of a main ducted system or a stand-alone unit, our vacuum loaders will provide high and fast vacuum capabilities of almost any dry material from crushed rock to fine powders. Material to be gravityMaterial can be discharged into a bulk bag, skip bin, truck or any other container from the 1.2m³ hopper. The compact design of the VacLoader range complements our trailer or truck mounted series of Vacuum Loaders with even lower noise levels, greater portability and at a much lower purchase cost. 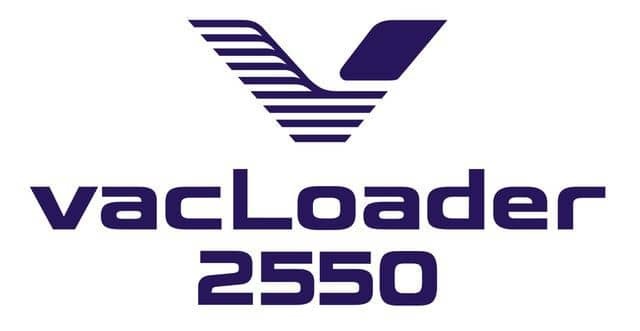 Minimal maintenance requirements and ease of servicing for industry were vital factors in the VacLoaders' development. Available powered by either a Three Phase Electric or Turbo Diesel Drive. VacLoaders represent an excellent investment in a high performance industrial vacuum system. They will be of immediate benefit as a time and money saving business tools that would quickly pay for themselves in the increased safety and/or productivity of your operation. 42kW / 63 Amp / 4 Pin / Three Phase electric motor drive. German or Italian precision engineered three lobe positive displacement blower. Suited to in-house plant vacuum loading operations. Easily forklift movable around plant. Optional, removable, braked swivel castors for relocation into tight access areas. Up to 100 metres of 4 inch heavy duty anti-static rubber vacuum hose. Skid or Trailer mounting options. 35M2 per minute airflow. (1200 CFM). Suited to mobile work as a trailer or truck mount. Skid, Truck or Trailer mounting options. All VacLoaders will assess the weight of materials being vacuumed. At the selected weight level the loader automatically returns to standby mode. This unique feature enables the capture and discharge of an exact amount of material each and every time. VacLoaders readily discharge materials directly into spout top Bulka Bags or other vessel. Spilled materials can be returned onto a conveyor line. This is an efficient method to recover valuable bulk product for reuse or storage. VacLoaders will easily interface with any existing steel pipe ring main system. Industrial Vacuum Solutions can advise on supply and installation of a new system. VacLoader's are designed for continuous 24 hours per day, 7 days per week duty cycle.